A STRANGER ASKS HER TO MARRY HIM! Anxious and anorexic Crista spends most of her time alone watching TV in her basement suite. One day at work she has a panic attack and is taken to the hospital by a stranger. When he keeps glancing at his wristwatch but doesn’t leave the emergency room, Crista asks him what he wants, only to hear him say, Will you marry me? Then he shows up at her doorstep. Crista resorts to acting as her imaginary twin sister to hide from him. Megan, her landlord’s niece, thinks he’s a sexual predator and encourages Crista to teach him a lesson. Crista ends up acting as triplets, trying to hide behind the walls she had built around herself. But the stranger persistently knocks at her door—until one day he suddenly stops. As the silence in her basement suite begins to suffocate her, Crista decides to break down her walls to find out what he had really meant when he asked her to marry him. 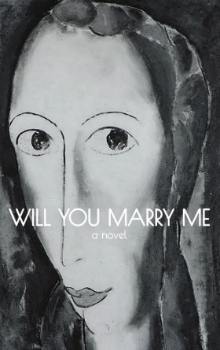 Will You Marry Me is a heartwarming and haunting story about two lost souls transforming their lives by embracing each other’s troubled past.